(These provides 45 lesson plans, matched to the new Key Stage 3 Programme of Study. Smart English lessons are flexible and differentiated). 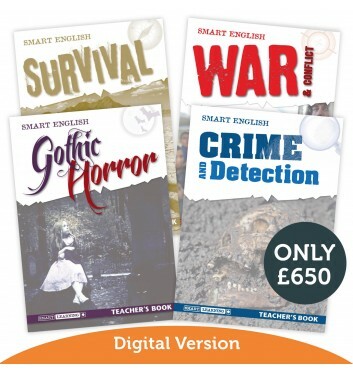 This Digital Special Offer Pack provides a comprehensive, high quality Unit of work that will slot straight into your existing teaching plans. 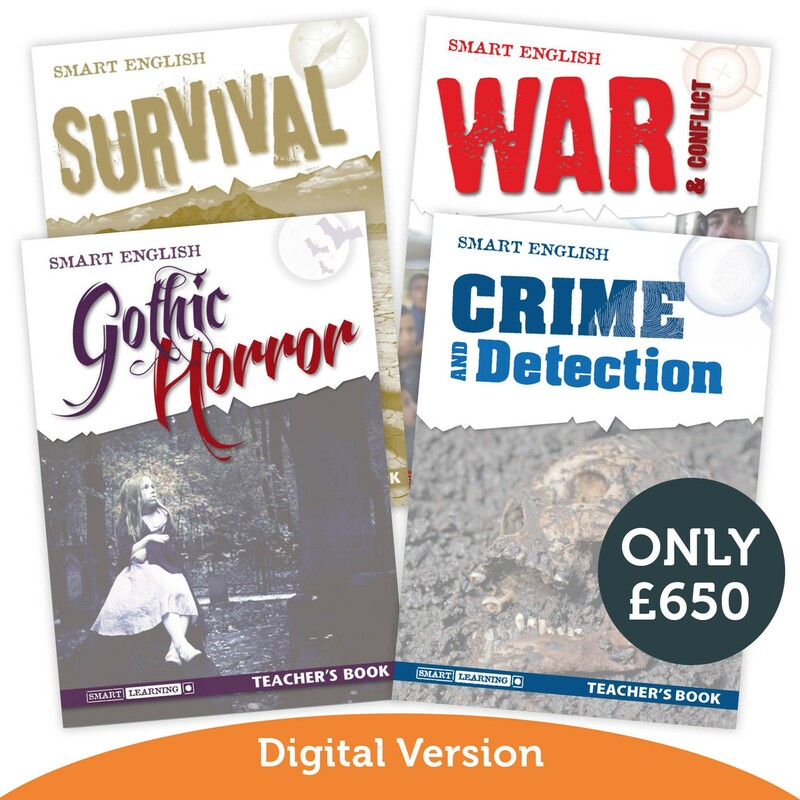 If you're looking for new, creative content for Key Stage 3 English lessons – Smart English is the perfect solution! Special Offer Packs are not available on approval.